The 7th Street Casino in Kansas City, Kansas, owned and operated by the Wyandotte Nation, is one of six tribal casinos in the state. David Patterson Silver Wolf, a researcher at Washington University in St. Louis, Missouri, studies gambling addiction, including among Native American gamblers. “Substance-abuse disorder sort of co-occurs with gaming disorders. 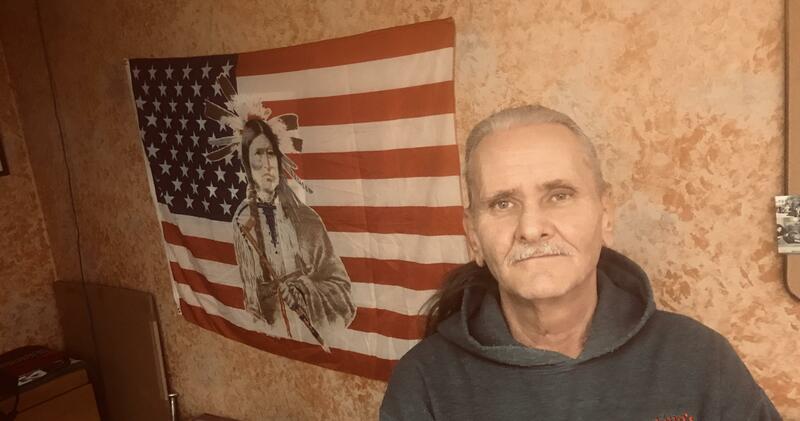 I was involved in a study looking at American Indian gaming and how those two things play together and how one might protect the other or might influence the other,” says Silver Wolf, who is a Cherokee descendent. Silver Wolf says that Native Americans who aim to live a traditional life — such as going to ceremonies and refraining from alcohol and drugs — have the least amount of problems with gambling. “More-traditional Natives are more-healthy Natives. And you can talk about going back to learning your language, learning your culture. Doing all of those things are protective for health matters,” says Silver Wolf. That is why there are efforts to connect people to their culture in Native American communities. The Indian Gaming Regulatory Act of 1988 paved the way for tribal gaming. Today, 28 states have tribal casinos, which are hosted on reservations. Last year they earned more than $32 billion in revenue, according to the American Gaming Association, a leading trade organization for the gaming industry. A portion of the gaming revenue gets shared with individuals in tribes where the casinos are located. The money also benefits communities — supporting education, buildings and services. And casinos also provide jobs in the thousands, although exactly how many is not clear. The AGA puts the number at more than 600,000 while the Bureau of Labor Statistics puts it at closer to 100,000. Jack Conrad, a member of the Cherokee tribe, visits the office of his counselor where he gathers additional support. “He talked about (how) he's lost everything: his wife, his kids, his home. He gave it all away to the casinos. And that caught my attention. I'll never forget it,” says Conrad. Gaming addiction is not about a personal or a moral failing, according to social work professor David Patterson Silver Wolf. “Addiction, substance-abuse disorder is a brain disorder,” he says. “The goodwill of helping their own people sort of wanes, and the addiction takes over,” Silver Wolf says. Timothy Fong, an addiction psychiatry professor and co-director of the UCLA Gambling Studies Program, is another expert who has studied how race and ethnicity intersect with gambling problems. 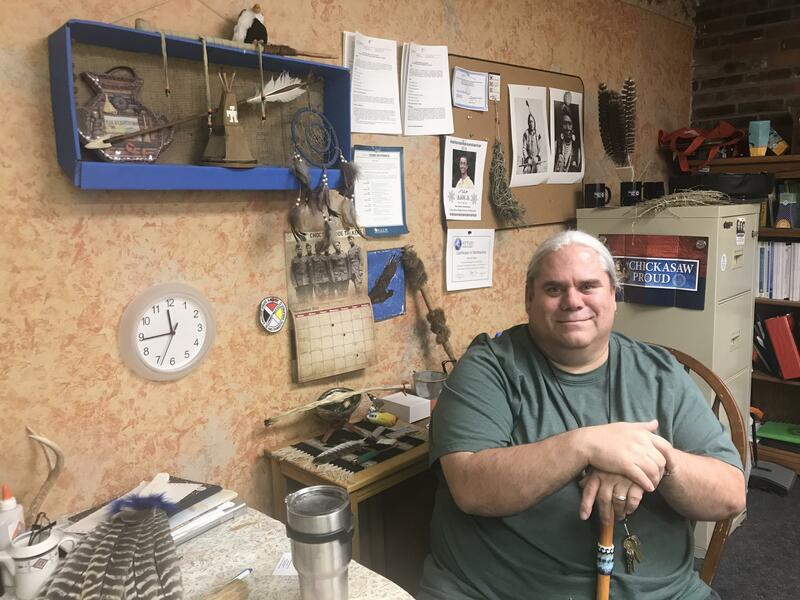 Social worker Patrick Pruitt counsels Native American clients at his office at the Kansas City Indian Center. Patrick Pruitt, a social worker with the Kansas City Indian Center in Kansas City, Missouri, says that above and beyond race, gambling abuse and addiction is a socio-economic issue. “If they're desperate to try to get their rent paid or get groceries or get their car payment so they can get to work, then they go to the casino and they'll take their last $50 to try to turn that into $500, and they ended up losing that, and at that point they're in worse condition than they were before they went,” Pruitt says. Studies show that about one in four Native Americans live below the poverty line. But Pruitt said, gambling isn’t as widely acknowledged as a problem in the Native American community as other addictions are. Pruitt, who is a Chickasaw Nation descendant, says that the Indian Center provides a culturally comfortable space for people to be a bit more honest about how gambling impacts their lives. “They see surroundings that are more familiar to them. They see things like an abalone shell, sweet grass, sage, feathers. So they're a little bit more comfortable,” he says. Although Native Americans with gaming problems don’t only go to tribal casinos, Pruitt says they are a double-edged sword. Could More Gambling Reduce Cuts to Missouri Education? 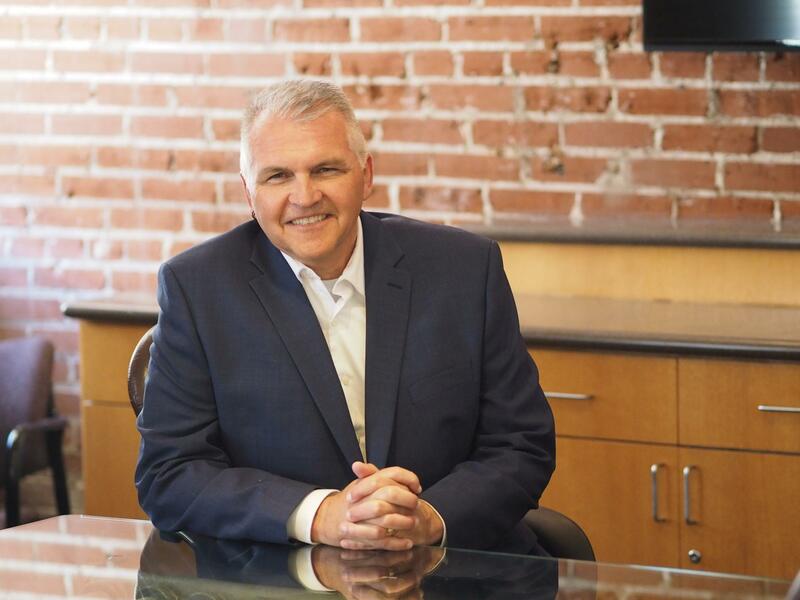 On this week's Statehouse Blend Missouri podcast, Sen. Denny Hoskins (R-Warrensburg) talks about a gambling proposal that could help a budget deficit in Missouri. When Victoria Worden of Kansas City was pregnant with her fourth child, she was addicted to heroin and hated herself for it.